I network at the Tualatin Chamber of Commerce and meet a lot of other interesting and hard-working small business owners, like Lucy and Torrey Murphy from Metro IT. When my web client at Hayden’s Grill asked me about IT support, I knew right away that I could refer them to Metro IT with confidence. Hayden’s gave Metro IT a call and hired them to do IT support work. I like it when a story has a happy ending. 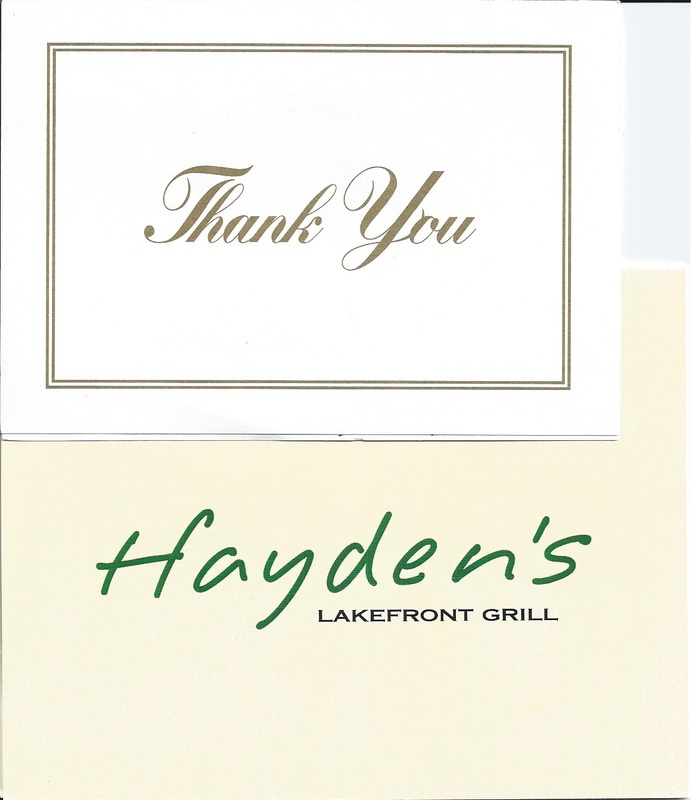 Lucy sent me a hand-written thank you card and a gift certificate to Hayden’s Grill, so I’ll enjoy some fine dining tomorrow night with my lovely wife. If you network, then think about giving some referrals to businesses that you know, like and trust.